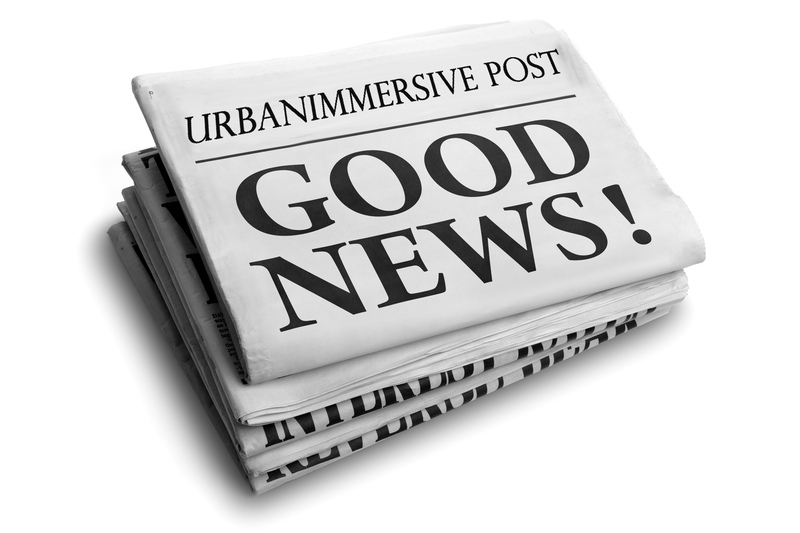 LAVAL, Québec, Jan. 26, 2018 (GLOBE NEWSWIRE) -- Urbanimmersive Inc. (“Urbanimmersive,” the “Corporation” or “UI”) (TSX VENTURE:UI.V) (OTC PINK:UBMRF), the real estate content marketing platform, today announced select audited financial results and presents business highlights for the fourth quarter and year ended September 30, 2017. The financial statements and related management’s discussion and analysis (“MD&A”) can be viewed on SEDAR at www.sedar.com. During the 2017 financial year, the Corporation has achieved an important milestone in its strategic growth plan by successfully establishing solid foundations for its future business development, notably thanks to the successful launch of its content marketing marketplaces and the creation and launch of an affiliate program for real estate service providers. “2017 financial year has definitely been our inflection point.” Stated Ghislain Lemire, CEO, Urbanimmersive. “One of the biggest challenges faced by every online marketplace is to create the right balance between the supply and demand. We did it, and from now on, we can better plan and execute our growth plan for the coming years.” Added M. Lemire. Appointment of Ms. Judith Brosseau as a board member. Blockchain technology Cryptocurrency mining initiatives. Officially launched at the beginning of the 2017 financial year, the Centris® Marketplace, which offers real estate agents in Québec an online marketplace of visual content providers has taken off and is growing. This first large-scale launch for Urbanimmersive required several phases of testing and technological and commercial adaptations that pushed the results further on the financial performance of the Corporation. During the 2017 financial year, in order to attract new users and promote the Centris® Marketplace, the Corporation has launched marketing campaigns offering discounts of up to 50% off the price offered by photographers enrolled in the platform in order to attract new users and promote the Centris® Marketplace. On the other hand, on delivery of the services, the photographers received the full amount, not discounted, for the services rendered. Since the cost of sales was higher than selling prices, these marketing campaigns had a direct impact on the Corporation’s gross margin. The Corporation believes that these efforts were necessary to quickly balance demand and service offerings in its platform. Among the technological adds made to the platform during the 2017 financial year, we note the full development of a line of credit solution integrated to the Urbanimmersive platform. Initially developed to simplify the transition of customers to a credit card payment system, the credit line solution has become a competitive advantage to acquire and retain users on the Corporation’s platform by opposition to freelance platforms that offer only credit card payment systems. The Corporation also considers its new line of credit solution as an important element of the success of Urbanimmersive’s affiliate program launched in the same fiscal year as it offers Urbanimmersive affiliates partners the opportunity to continue to offer traditional commercial payment terms, facilitating the transition of all their service transactions to Urbanimmersive’s marketing content platform. Following the launch of the Centris® Marketplace, the Corporation launched an affiliation program allowing service providers such as photo agencies and real estate website providers to use the Urbanimmersive’s platform for all of their billing transactions. The Corporation’s new credit line solution allows affiliates to make a full transition of their receivable accounts to the Urbanimmersive platform as all their billing is done by and on behalf of Urbanimmersive. The Corporation announced several affiliation program agreements in Québec. The most important agreement was signed on June 6, 2017, with ID-3 Technologies Inc., whose full integration of business into the Urbanimmersive platform was finalized in December 2017. On January 11, 2018, the Corporation signed an affiliation program agreement with Real Services Photography, a leading visual content agency in Ontario. This first affiliation agreement with an anglophone supplier allows the Corporation to be confident about its commercial strategy. To support the adoption of the credit line solution with real estate agents, home builders and affiliate partners, the Corporation has undertaken technological developments in order to be able to collaborate with a loan venture for the capital required to support the credit line facility. The Corporation has recently opted for blockchain technology, which promises to decentralize the transactions ledgers and bring unparalleled transparency compared to other technologies. The development of blockchain integration began in the fourth quarter of the 2016–2017 financial year and is currently underway. On November 22, 2017, the Corporation announced a three-year financing agreement with the capital venture Finaccès to support its line of credit. The Corporation believes that the integration of blockchain technology and this new funding agreement will allow Urbanimmersive to accelerate customer acquisition by concluding more affiliation agreements. In the second quarter of the 2017 financial year, in order to focus solely on the development and delivery of technology solutions, the Corporation announced that it was terminating its internal 3D image production services business with the layoff of six employees associated with the 3D service department. Since the internal 3D service department had until then required the operation of a server room to render 3D images and considering the investment made since 2010 in this server room, the Company has decided to optimize its infrastructure by converting some of its servers to perform cryptocurrency mining processes. Work began during the third quarter of 2016–2017 fiscal year and has been completed recently. At the beginning of 2018, the Corporation hired Catallaxy, a Raymond Chabot Grant Thornton group of experts in blockchain technology and cryptomining, whose mandate is to analyze and optimize the potential of Urbanimmersive’s server room and assists the Corporation on its research and development related to blockchain integration into its line of credit solution. During the 2017 financial year and the first quarter of the 2018 fiscal year, a total of 3,520,000 common shares were issued by the Corporation following the exercise of warrants for total proceeds of $284,250. On December 21, 2017, the Corporation completed its public offering by issuing a total of 10,000,000 units of the Corporation for total proceeds of $1,250,000. In addition, on January 12, 2018, the Corporation issued an additional 1,500,000 units for total proceeds of $187,500 as part of the full exercise of an overallotment option granted by the Corporation in connection with its public offering. On March 30, 2017, the Corporation announced the nomination of Ms. Judith Brosseau on its Board of Directors. Ms. Judith Brosseau acts as Chair of the Board of Directors of L’inis, The National Institute of Image and Sound. She has held the positions of Senior Vice-President, Programming, Communications and Interactive Media for Les Chaînes Télé Astral from 1998 to 2013 and of Director of Strategic Planning for Communications at the Canadian Broadcasting Corporation from 1992 to 1998. Ms. Brosseau acts as an administrator of several companies (Harold Greenberg Fund, Sylvain Émard Danse, Wapikoni mobile) and is a consultant. On December 11, 2017, the Corporation announced the nomination of Mr. Jean-François Grou on its Board of Directors. The Corporation also retains the services of Mr. Grou as a consultant to assist the management. Mr. Grou has more than 25 years of experience in leading international companies in the technology sector with an impressive proven track record. Prior to joining Urbanimmersive, Mr. Grou acted as President and Chief Operating Officer (COO) of Rideau Recognition Inc., a Canadian technology company with nearly 250 employees having offices in Canada and in the US. Before this role, Mr. Grou was CEO and director of 20-20 Technologies Inc., a Québec technology company previously listed on the TSX with nearly 550 employees located in 13 different offices worldwide. During his tenure, Mr. Grou developed and executed a business strategy that increased the company’s annual revenue from $11M to more than $70M until its acquisition by a private equity firm in 2012.